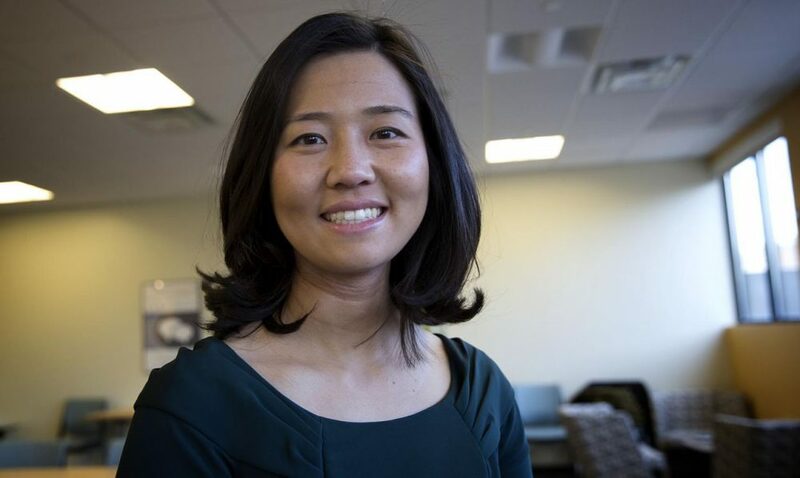 On Monday, the Boston City Council unanimously elected its new president, Michelle Wu. She's the first Asian-American and first woman of color to lead the council. "In too many parts of our city, we see skyrocketing housing costs, nightly gunshots, devastating opioid addiction, insufficient mental health supports, imbalanced schools and stagnant wages that haven't kept pace with the costs of supporting a family," Wu said in her first speech as council president. You've probably seen the many pictures of Wu at work in the council chamber with her infant son in her arms. She also has a very ambitious agenda: tackling income inequality, reforming the criminal justice system, improving education and preparing Boston for climate change. Michelle Wu, Boston City Council president. She tweets @wutrain. "The Boston City Council voted unanimously Monday afternoon to make Councilor Michelle Wu its new president." This segment aired on January 7, 2016.